October 28, 2013 UncategorizedADA, ADA CERP, American Dental Association, attachment dentistry, continued dental education, dental conferences, dental products, dental radiographers, dental seminars, dental workshops, dentistry, endodontics, HIPAA, periodontal surgery, school of dentistry, TMDRecordLinc Inc.
New and seasoned dentists alike are missing out on opportunities to improve their practice if they fail to recognize the importance of life-long learning. Dentistry is an ever-evolving, fast-paced profession, so staying abreast of new technological advancements, hi-tech products, cutting-edge procedures, and best practices comes with the territory. Some would even say that the dental industry is in the midst of a “technology revolution.” New techniques and materials are discovered every year, and they offer safer, less invasive, faster results for your patients. Getting past the learning curve doesn’t have to be difficult or expensive. Read on to find the continued education option that suits the needs of your practice. Often, the best tools at our disposal are hidden in plain sight. Check around locally, returning to the place that started it all. Hint: Pull that dusty cap and gown out of your closet. 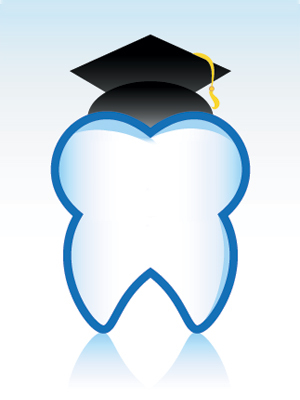 Returning to the school of dentistry that you graduated from can prove invaluable, as many universities offer continued dental education courses in the form of lectures and hands-on workshops. Enroll for a refresher on infection control, patients’ medical records best practices, and other general knowledge areas. Or, fine-tune your specialty with a periodontal surgery workshop, advanced implant therapy course, or lessons on serving patients with special needs. Aside from hosting thousands of educational and product demonstration videos, published studies, and peer reviewed material that’s there for the taking, the Internet is your source for online continued education courses covering a range of industry topics, from the technical to the practical. Procter & Gamble is an ADA CERP recognized provider that offers a virtual library of over 100 free continued education courses containing practice-relevant material (dentalcare.com). Running a busy practice? Take a course when it’s convenient for you, in the comfort of your own home. Courses listed include Increasing productivity, Strategies for Building Patient Relationships, Understanding HIPAA, Tooth Whitening, TMD Treatment, Tips for Dental Radiographers, Treating Anxious & Phobic Patients, and the list goes on. The ADA hosts a yearly conference targeted towards new dentists (1 to 10 years in practice) that offers hands-on specialty courses, leadership development, hands-on clinical courses, and lectures. The 2014 itinerary includes a course on basic Endodontics and Attachment Dentistry, plus an inspiring lecture presented by Roger Levin, D.D.S., titled, “Set Your Practice on Fire: Strategies for Increasing Production and Creating a Superior Practice.” Complete with all-inclusive lunches, networking opportunities and a Friday night social event, this conference is a great working “getaway” for the whole office. Visit ada.org/newdentistconf.aspx for more info. Staying on top of the latest dental product trends and technology will increase the efficiency and quality of care you’re able to offer your patients, so why not attend a dental product expo for a sneak peak at the “next big thing”? View and sample advanced products before anyone else, complete with demos. Can’t leave the office? Have the product demonstrators come to you. Most product reps jump at the opportunity to provide in-office demonstrations, and this way, your employees can learn right along with you.